A FORMER LEADING IRA member has sparked a fresh controversy in the Maíria Cahill scandal after he shared a blog post claiming that the abuse she suffered was a ‘year-long sexual liaison’. Seamus Finucane, accused by Cahill of being involved in a ‘kangaroo court’ investigating her alleged abuse, posted the article by Ruaidri Ua Conchobai on his Facebook page. The post alleged that the “year-long clandestine sexual relations between these two people” had been “ignited by a lawful but ‘few cans of beer’”. It adds that the man was a “type of charmer whom many a 16 year old would likely fancy”. Cahill has this evening called on Sinn Féin to condemn the sharing of the article and for an apology. “What Maíria is experiencing is disgraceful and is clearly designed to intimidate her and punish her for speaking out about her abuse,” he said. 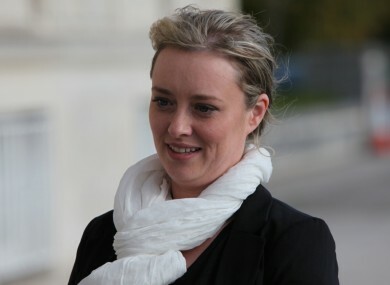 Email “Mairía Cahill blog allegations 'shameful and cruel'”. Feedback on “Mairía Cahill blog allegations 'shameful and cruel'”.